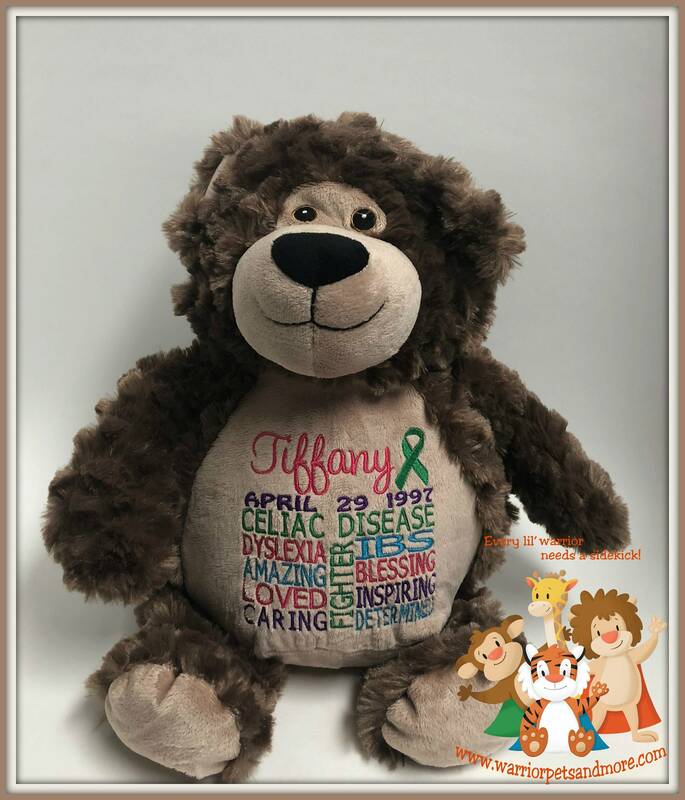 For Celiac Disease - to support and raise awareness. Each pet is personalized with a name and date of birth if desired. Please indicate whether you want the design for a boy or girl. Colors will be the same as the listing, unless you indicate another color preference. Please put the name and date of birth to be embroidered in the comment box. Bear is approximately 16" tall. You can remove the stuffing pods and machine wash the body to keep it nice and clean. Design shown is for a boy - the female version will have princess and beautiful instead of handsome and superhero.